Labels- Campbell International Specialist Tapes. Here at Campbell International we offer a wide range of labels, divided into the categories below. Please note if you require quantities greater than 20 units we can offer substantial discounts, just contact us. We also offer custom/bespoke labels if you require something outside of our current range, whatever your labelling needs we are confident we can meet them at a competitive price. Colour/Symbol: 1 - Explosion symbol - UN (United Nations) Hazard Warning Diamond. Technical Specification: Manufactured from high quality synthetic material with a UV resistant varnish. Each label is supplied on a paper backing for easy removal. Please note these are not as thick and durable as..
Colour/Symbol: 1 1.3G - Explosion symbol black on orange - UN (United Nations) Hazard Warning Diamond. Technical Specification: Manufactured from high quality synthetic material with a UV resistant varnish. Each label is supplied on a paper backing for easy removal. Please note these are not as..
Colour/Symbol: 1 1.4 G - Black on orange - UN (United Nations) Hazard Warning Diamond. Technical Specification: Manufactured from high-quality synthetic material with a UV resistant varnish. Each label is supplied on a paper backing for easy removal. Please note these are not as thick and durab..
Colour/Symbol: 1 1.4 S - Black on orange - UN (United Nations) Hazard Warning Diamond. Technical Specification: Manufactured from high-quality synthetic material with a UV resistant varnish. Each label is supplied on a paper backing for easy removal. Please note these are not as thick and durab..
Colour/Symbol: 1 EXPLOSIVE - Explosion symbol black on orange - UN (United Nations) Hazard Warning Diamond. Technical Specification: Manufactured from high quality synthetic material with a UV resistant varnish. 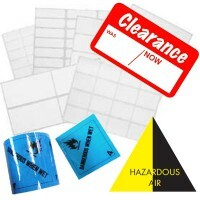 Each label is supplied on a paper backing for easy removal. 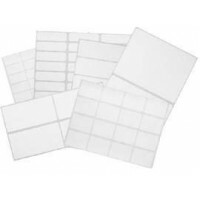 Please note these are n..
Technical Specification: White rigid PVC coated one side with a transparent resin rubber adhesive laminated with a 30 micron transparent polypropylene for environmental protection. Explosive with pictogram/symbol, number one (1) and a black border printed in black on an orange background. Dimen.. Available Colours: White, Red, Yellow, Green, Blue. 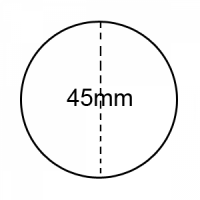 Dimensions: 102 x 51mm each label. Quantity: 1000 labels. Technical Specification: Permanent adhesive, wide edged for easy peeling, non-perforated. Please Note:	- Labels will be supplied on a standard core size. Any reel quantities and core size..
Dimensions: 102 x 76mm each label. Quantity: 1000 labels. Technical Specification: Permanent adhesive, wide edged for easy peeling, non-perforated. Please Note:	- Labels will be supplied on a standard core size. Any reel quantities and core sizes are possible (Usually at no extra cost! ), jus..
Dimensions: 105 x 49.5mm each label. Labels per Sheet: 12. Quantity: 100 Sheets. Corners: Rounded.Technical Specification: White paper with a permanent adhesive.Custom printing and a range of materials, adhesives are colours are available on request. ..
Dimensions: 105x74mm each label. Labels per Sheet: 8. Quantity: 100 Sheets. Corners: Square.Technical Specification: White paper with a permanent adhesive.Custom printing and a range of materials, adhesives are colours are available on request. ..
Dimensions: 105 x 99mm each label. Labels per Sheet: 6. Quantity: 100 Sheets. Corners: Square.Technical Specification: White paper with a permanent adhesive.Custom printing and a range of materials, adhesives are colours are available on request. ..
Dimensions: 12mm diameter. Quantity: Reel of 5000 labels (Supplied 2 labels across the width of the reel). Technical Specification: Clear labels available with permanent or removable adhesive. Used to seal boxes, letters, CD/DVD cases. 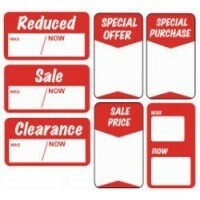 Large discounts available on bulk orders with competitive..
Dimensions: 199.6 x 143.5mm each label. Labels per Sheet: 2. Quantity: 100 Sheets. Corners: Rounded.Technical Specification: White paper with a permanent adhesive.Custom printing and a range of materials, adhesives are colours are available on request. ..
Dimensions: 199.6 x 289.1mm each label. Labels per Sheet: 1. Quantity: 100 Sheets. Corners: Rounded.Technical Specification: White paper with a permanent adhesive.Custom printing and a range of materials, adhesives are colours are available on request. ..
Dimensions: 19mm diameter. Quantity: Reel of 2000 labels. Technical Specification: Clear labels available with permenant or removable adhesive. Used to seal boxes, letters, CD/DVD cases. Large discounts available on buk orders with cometative branding/messaging options. 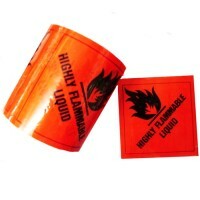 Material is non-yellow..
Colour/Symbol: 2 - Flammable symbol black on red - UN (United Nations) Hazard Warning Diamond. Technical Specification: Manufactured from high quality synthetic material with a UV resistant varnish. Each label is supplied on a paper backing for easy removal. Please note these are not as thick a..
Colour/Symbol: 2 - Gas symbol black on green - UN (United Nations) Hazard Warning Diamond. Technical Specification: Manufactured from high quality synthetic material with a UV resistant varnish. Each label is supplied on a paper backing for easy removal. Please note these are not as thick and d..
Colour/Symbol: 2 - Toxic symbol black on white - UN (United Nations) Hazard Warning Diamond. Technical Specification: Manufactured from high quality synthetic material with a UV resistant varnish. Each label is supplied on a paper backing for easy removal. Please note these are not as thick and..
Technical Specification: White rigid PVC coated one side with a transparent resin rubber adhesive laminated with a 30 micron transparent polypropylene for environmental protection. Compressed air with pictogram, number two (2) and a border printed in black on a green background. 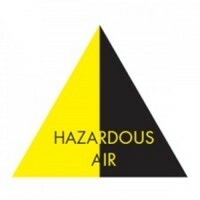 Dimensions: 100..
Colour/Symbol: 2 COMPRESSED GAS - Gas symbol black on green - UN (United Nations) Hazard Warning Diamond. Technical Specification: Manufactured from high quality synthetic material with a UV resistant varnish. Each label is supplied on a paper backing for easy removal. Please note these are not..
Colour/Symbol: 2 FLAMMABLE GAS - Flammable symbol black on red - UN (United Nations) Hazard Warning Diamond. Technical Specification: Manufactured from high quality synthetic material with a UV resistant varnish. Each label is supplied on a paper backing for easy removal. Please note these are ..
Technical Specification: White rigid PVC coated one side with a transparent resin rubber adhesive laminated with a 30 micron transparent polypropylene for environmental protection. Flammable gas with pictogram/symbol and number two (2) printed in black on a red background. Dimensions: 100 x 100..
Colour/Symbol: 2 NON FLAMMABLE GAS - Gas symbol black on green - UN (United Nations) Hazard Warning Diamond. Technical Specification: Manufactured from high quality synthetic material with a UV resistant varnish. Each label is supplied on a paper backing for easy removal. Please note these are ..
Technical Specification: White rigid PVC coated one side with a transparent resin rubber adhesive laminated with a 30 micron transparent polypropylene for environmental protection. non-flammable conpressed gas with symbol/pictogram, number two (2) with border printed in black on green tape. Dim..
Technical Specification: White rigid PVC coated one side with a transparent resin rubber adhesive laminated with a 30 micron transparent polypropylene for environmental protection. Poison Gas with poison symbol/pictogram, number 2 surrowunded by a border printed in lack on a white background. D..
Colour/Symbol: 2 TOXIC GAS - Toxic symbol black on white - UN (United Nations) Hazard Warning Diamond. Technical Specification: Manufactured from high quality synthetic material with a UV resistant varnish. Each label is supplied on a paper backing for easy removal. Please note these are not as..
Dimensions: 210 x 148.5mm each label. Labels per Sheet: 2. Quantity: 100 Sheets. Corners: Rounded.Technical Specification: White paper with a permanent adhesive.Custom printing and a range of materials, adhesives are colours are available on request. ..
Dimensions: 210 x 289mm each label. Labels per Sheet: 1. Quantity: 100 Sheets. Corners: Square.Technical Specification: White paper with a permanent adhesive.Custom printing and a range of materials, adhesives are colours are available on request. ..